Please come to our event next Monday night, July 18. We want to pack out the hall for the final event of our first ever DPFC season. 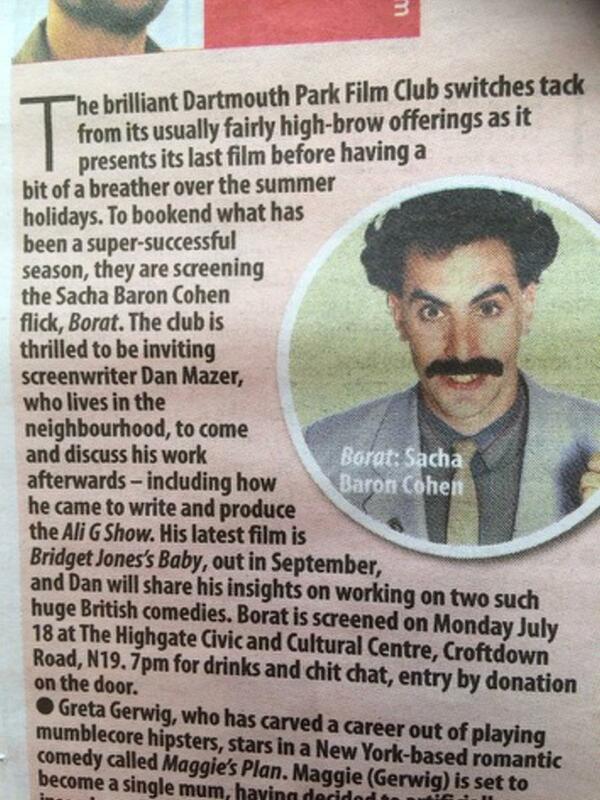 We’re screening BORAT and we’re chuffed that the writer, Dan Mazer, is coming for the Q&A. Invite your friends, family, neighbours and anyone who could do with a good laugh: as we all know, and studies have confirmed, laughter is good for your health! There’s information about the screening in the attached flyer, the press piece in the Camden New Journal and on the DPFC website.